SHERLOCK HOLMES RE-IMAGINED: In this book series, the original stories penned by Sir Arthur Conan Doyle featuring Sherlock Holmes and his devoted friend and biographer Dr John H. Watson have been amusingly illustrated using only LEGO® brand minifigures and bricks. 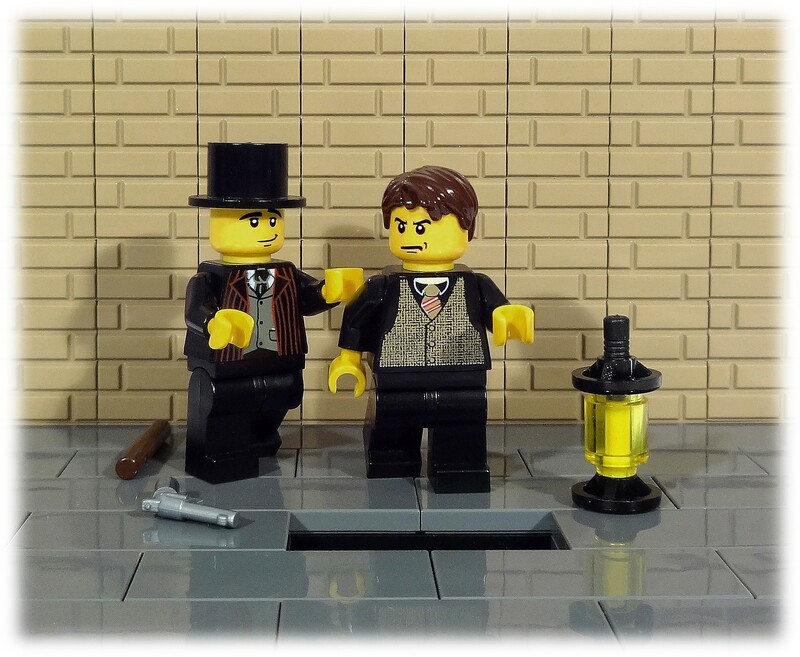 The illustrations recreate, through custom designed LEGO models, the composition of the black and white drawings by Sidney Paget that accompanied the original publication of these adventures appearing in The Strand Magazine. Paget’s iconic illustrations are largely responsible for the popular image of Sherlock Holmes, including his deerstalker cap and Inverness cape, details never mentioned in the writings of Conan Doyle. This uniquely illustrated collection, which to date includes this volume and the twelve short stories comprising The Adventures of Sherlock Holmes, is sure to delight LEGO enthusiasts, as well as fans of the Great Detective, children and adults alike. THE ADVENTURE OF THE DANCING MEN: Mr. Hilton Cubitt of Norfolk seeks the help of Sherlock Holmes in deciphering strange coded messages, consisting of little dancing figures, which have unsettled his peaceful marriage.A short time later, Cubitt is found dead and his wife Elsie suffering a grave bullet wound to the head. Inspector Martin thinks it is a case of murder and attempted suicide, but using information garnered from the coded messages, Holmes sets a trap for the true culprit. LEGO® is a trademark of the LEGO Group of Companies. The LEGO Group has not been involved in nor has it in any other way licensed or authorized the publication of this book. Following in the footsteps of Sherlock Holmes, can you decode the encrypted text on the front and back covers of this book using the cipher from the story? The Adventure of the Dancing Men–The Return of Sherlock Holmes Re-Imagined is available from all good bookstores including The Strand Magazine, Amazon USA, Amazon UK, Waterstones UK and for free shipping worldwide Book Depository. I looked at three of Macaluso’s Holmes books: A Case of Identity, The Red-Headed League and A Scandal in Bohemia. (Others are available but they’re currently in pre order-check the links at the bottom of the review to order!) 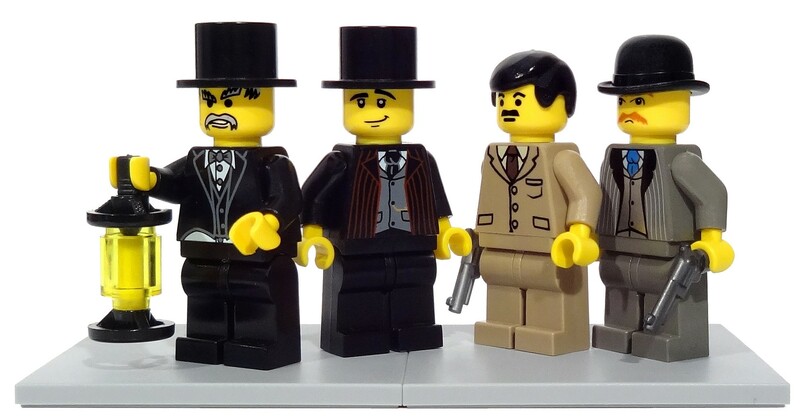 The books use Conan Doyle’s original text, but are illustrated with charming Lego images (like the one above) which are Lego reproductions of Paget’s work in the original stories. Each illustration is both adorable and clever as, when compared to Paget’s originals, they are actually remarkably similar! Overall, these books are a fun, lighthearted take on Conan Doyle’s work, and I for one am very jealous both of the fact that I didn’t think of it first, and of Macaluso’s extensive Lego collection. 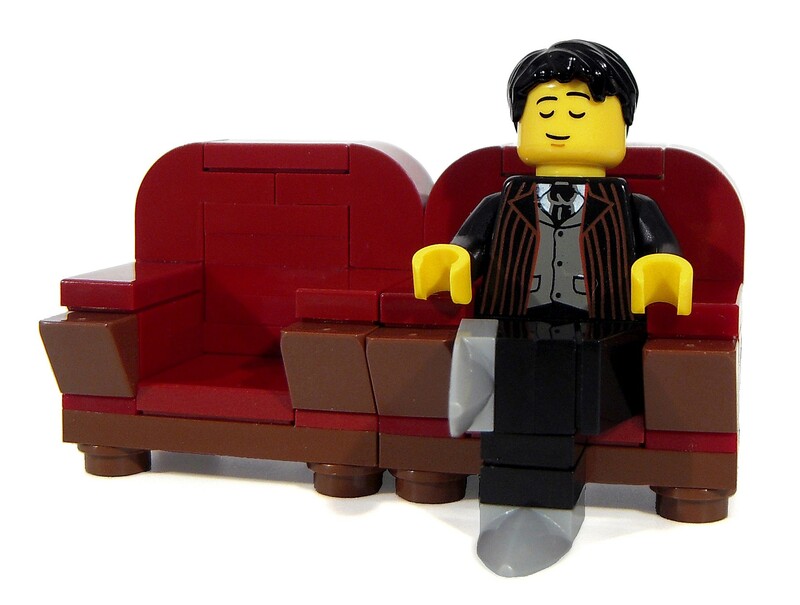 I would definitely recommend these to both Holmesians and Lego fans alike, they’re the kind of thing which I know will make me smile over and over again. 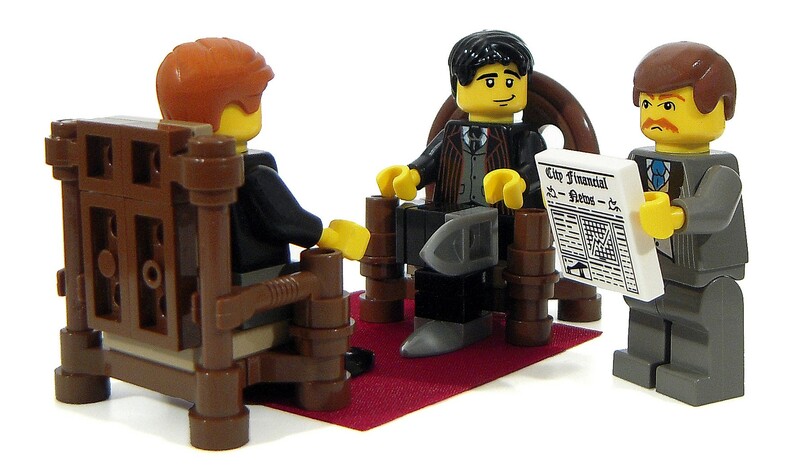 A Scandal in Bohemia – Lego – The Adventures of Sherlock Holmes is available from all good bookstores including Amazon USA, Amazon UK, Waterstones UK, and for free shipping worldwide Book Depository. In ebook format it is in Kobo, Nook and Apple iBooks(iPad/iPhone). The Red-Headed League – Lego – The Adventures of Sherlock Holmes is available from all good bookstores including Amazon USA, Amazon UK, Hive UK, Waterstones UK, and for free shipping worldwide Book Depository. In ebook format it is in Apple iBooks(iPad/iPhone). A Case of Identity – Lego – The Adventures of Sherlock Holmes is available for pre order from all good bookstores including Amazon USA, Amazon UK, Waterstones UK, and for free shipping worldwide Book Depository. In ebook format it is in Kobo, Nook and Apple iBooks(iPad/iPhone). The Red-Headed League – Lego – The Adventures of Sherlock Holmes, the 2nd in the Lego Sherlock Holmes series is out this week! The Red-Headed League – Lego – The Adventures of Sherlock Holmes is available from all good bookstores including Amazon USA, Amazon UK, Hive UK, Waterstones UK, and for free shipping worldwide Book Depository.